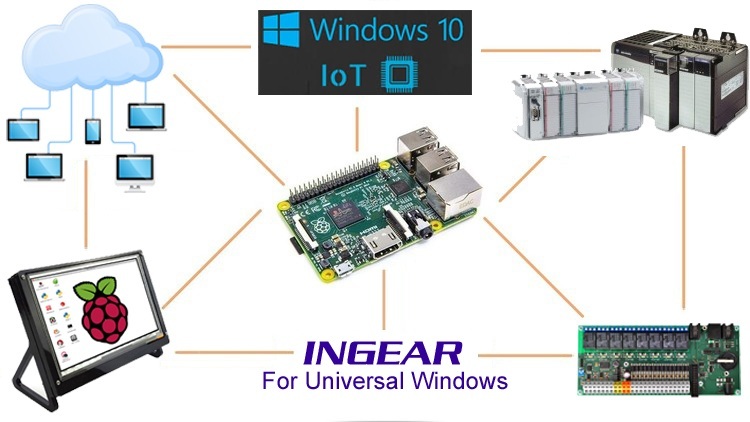 NET.LOGIX.UWP (Universal Windows Programming) is the first in a series of Windows 10 IoT Core PLC drivers from INGEAR. NET.LOGIX.UWP allows you to easily connect devices running Microsoft Windows 10 IoT Core to Rockwell Programmable Automation Controllers (PACs). Develop your own IIoT (Industrial Internet of Things) applications, including ultra-low cost operator interfaces and headless intelligent devices that can be read and written by Allen-Bradley PLCs, OPC Servers and other drivers. 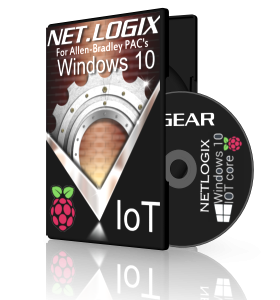 Because NET.LOGIX.UWP has the same communication capabilities and features as NET.LOGIX for Windows PCs, porting existing INGEAR code from Window PC to Windows 10 IoT is a snap. Develop your own IIoT (Industrial Internet of Things) applications communication to Rockwell Programmable Automation Controllers (PAC) using Microsoft Windows 10 IoT Core. Has the same communication capabilities and features as NET.LOGIX for Windows PC. Designed for Windows 10 IoT devices such as Rasperry PI, MinnowBoard and DragonBoard single board computers. Design, create and deploy Windows 10 IoT programs and applications for Raspberry Pi3, Minnowboard & Dragonboard devices runtime free. Includes 12 months of product support and upgrades.